Within the rapidly growing sea of creators beneath the umbrage of dungeon synth, Erang has gained a reputation for the depth and musicality of his output. Besides consistently providing incredible compositions, his boundless imagination takes his music out of this world. His impressive body of work centers around a world of his own design, which he calls The Land of Five Seasons. While respecting the DIY approach with which dungeon synth has become synonymous, each of Erang’s albums paints a unique picture of a mysterious synthesis of reality and fiction. The French mastermind was kind enough to answer some questions regarding his music, his world and the future of his creation. Max: You often refer to the Kingdom of Erang as something that has been a part of you since you were young. Do you remember a specific moment when the The Land of Five Seasons took shape within you? Erang: It is a bit hard to explain it with words. The Kingdom of Erang is directly linked to some places & people from my childhood and family. So I grew up with it… then, as I became adult, I’ve added to it other cultural references from old fantasy movies, books, etc. I mixed them with new events of my life, new places and also, of course, others’ creations made directly within my imagination. Max: Do the recurring characters in the Land of Five Seasons hold any connections to people on earth, or aspects of yourself? Max: What role does Erang play in The Land of Five Seasons? It seems that he is more than a narrator or an observer, though one might be lead to believe that since he retells tales from that world. Max: How did the music come to be the medium by which you communicate this alternate reality? Erang: It came naturally. I started making computer/synth music a long time ago by the age of 14, 15 yrs old. I’ve always been in love with raw sounds and early computer music, but always thought that nobody could care about it as it was too unpolished with fake cheap instrument like early DOS game soundtracks. So when I came across the Dungeon Synth blog and the first album of Lord Lovidicus I thought “well, maybe I’m not alone and people out there might like what I like too.” That’s when I decided to release Tome I. Many tracks on this album were written a long time before I knew about fantasy synth music. Max: Read any good books recently? Have any literary works inspired your fantasy world? Erang: I used to read more when I was younger, but for years now I don’t have enough free time as I dedicate all mine to my family and my music (and, of course, my everyday job). I read The Children of Húrin two years ago and it really moved me… the ending was so powerful and beautiful. Considering the influence of literary works on my own world I would say it is very very little: despite a few tracks name on Tome I, my major cultural influence (outside of real events from my life) comes from movies from the 80s/90s like: Willow, Dark Crystal, Conan, the Neverending Story, etc. Of course, some of them were books before but I came to them through the movies. I was watching them at a very early age and it left an indelible mark in my mind. Max: Have you ever thought about writing a book about The Land of Five Seasons? Erang: Well, I think about that almost everyday, yes. The thing is that, to me, writing doesn’t come as naturally as making music. When I make music it is pure feelings and emotion… I would say that I don’t use my brain, intellectually speaking… However, when I write, I of course need to think about the words and the sentence and ideas I want to share so I need to be in a completely different state of mind which is hard for me to find in my everyday life… I would need 2 months alone in a mountain cabin to be able to write. On the contrary, as soon as I have five minutes of free time I can instantly start to work on a track or mess with sounds. It’s like breathing to me. So, to answer you: I’ve already started to put many ideas and scenes on paper, but it will be a very long work and I’ll need a lot of time to put all of that together into a proper book… if I ever do it. Max: With regard to your musical training, are you self taught or do you have classical training. I ask because the classical crossover in much of your music is hard to ignore. Erang: Definitely 100% self taught. I know absolutely nothing at all about music theory. That’s why I sometimes spend a lot of time finding the right chord I have in mind, because I don’t know the rules of progression and harmony, etc. Max: Some of the most noticeable aspects of Erang’s music are the meticulous arrangements, soundscapes, and choice of synth sounds. How does your writing process work, and what thought process goes into your choice of sounds (horns, bells, etc)? First, I have a melody that comes to me and I try to re-create it. It is as simple as that and I couldn’t tell you why these melodies exist or where they come from… it’s just there and I can’t ignore it. Second way of doing, I listen to a track I like and I’m hit by a specific sound, or melody or atmosphere within it. Then I try to re-create it, and almost 100% of the time it ends up being completely different… and if it’s too close to the original, I skip it. Third, I just run my computer and browse my instrument and synth, I mess with sounds and preset… and, lots of times, a “sound” inspire me to create a melody and that’s how a track starts. If I think about it I would say that the third one is the most common to me. I always try to put in each song a small thing that is a bit different from my previous work or from what I’m hearing around… just to keep me entertained. Max: Have you taken notice of any more recent dungeon synth projects? Erang: I’ll be honest: I haven’t really listened to dungeon synth for a while now. I know it may sound strange but it’s the truth. I follow the “news” and always give a quick listen to new releases here and there, but I don’t really listen to full tracks or albums. However, I could say that if one wants to check interesting projects, one can just go to Bandcamp with the “dungeon synth” tag and find a lot of brilliant stuff right in the first page and so on. Many new and old artists make great stuff, so the best thing is to check Bandcamp, I guess. And the Dungeon Synth Archives channel on YouTube as well. Max: Are there any dungeon synth artists that inspired you to pursue that style? Erang: That’s the following of my previous answer: right now I feel a bit like I need to take a step back from DS… I don’t know… it’s maybe not the right time to do so because Dungeon Synth gains more and more interest everyday but, musically speaking, I’m not really excited about what I hear. Let me be clear, because I don’t want to sound pretentious: many people and artists make clearly great work. The problem comes from me. It’s just that, most of the time, when I listen to DS, it sounds like I’ve already heard it before… Furthermore, as the genre is stuck in the medieval fantasy imagery, to say it fast, you always end up with very similar stuff and the same topics, etc. So, because I’m into it and making music since early 2012, the problem comes from me: it’s not fresh enough to my ears anymore. That’s also part of the reason I’ve started to experiment with synthwave with 2 of my albums… and that’s probably why the next Erang might be the last… at least for some time… still not sure about that. Max: If you were to introduce someone to dungeon synth for the first time which of your albums would you choose? If you prefer, you can use an album by another artist. I take this opportunity to tell you that Within the Land… will be available physically in CD really soon (with Kingdom of Erang as well). Max: Two of your more recent albums have a synth-wave leaning. What inspired that change? Do you have any curve-ball artists outside of the DS/fantasy ambient/medieval ambient sphere that you enjoy? Erang: The change was inspired by two things: a need of fresh air and the fact that, in my mind, the Land of the Five Seasons always took place between different ages and dimensions. An alternative future of it has always excited in my mind and I wanted to express it in music. The two synthwave albums are part of the “LAST AGE” of my world. And the next one will be the 3rd and last album of the “LAST AGE” era… but it won’t be synthwave because of a twist that you’ll know soon. Recently I’ve really enjoyed HOME (album, Odyssey) and I’ve been listening to a lot of David Lynch music during the last weeks, some COIL as well. Max: Dungeon synth has much of its roots in black metal, yet you don’t seem to run with that crowd. Do any black metal bands tickle your fancy? Erang: Being a teen in the early 90’s I’ve grew up with metal as well as electronic music and other genre. So I’m not a metalhead per se because I’ve never been “addicted” to one musical style only but I was listening to big names like Megadeth, Metallica, early Rammstein, and other stuff as well because my older brother was playing guitar in a metal band. But I wasn’t listening to black metal as a teen. I’ve only gotten into it six years ago and I love several bands: Burzum (a case where I really love the music but I can’t stand the man’s ideas and propaganda), early Dimmu Borgir, Enthrone Darkness Triumphant and Isengard. I love Summoning of course, some Windir as well and probably other bands I’m forgetting right now. As you can see, it’s always black metal related to synth and atmosphere. Max: Your website features a section dedicated to covers people have done of your music, so it goes without saying that you appreciate people wanting to try their hand at your output. Do you consider the fact your art inspires others to reimagine it to be a milestone with regard to your influence in the dungeon synth community? Erang: I don’t know what influence I can have or if I have any, but I know for sure that it’s always a pleasure and an honor for me when people make covers of my work. It’s always something surprising that someone on the other side of the world tried to make a cover of one my songs. If some of your readers want to make a cover of me and need some midi files, they can just drop me a mail on the “contact form” of my Bandcamp page. I’ll send it to them when possible. Max: Speaking of the dungeon synth community, to what extent do you think it exists? Have you seen these solitary artists begin to connect more? 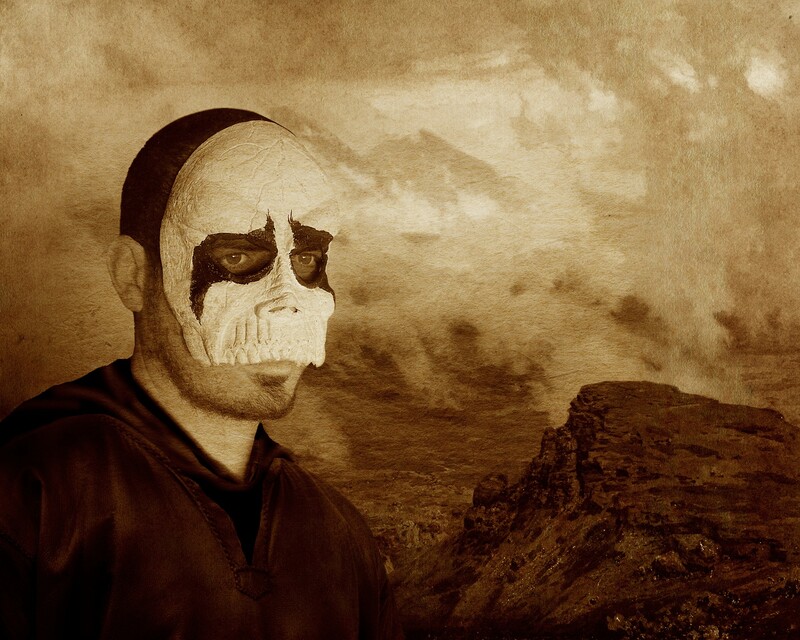 Erang: Dungeon Synth has changed a lot during the last few years and the community has definitely got bigger. I remember a time when I was releasing an album on Bandcamp and there were only 1 or 2 pages that showed up if you wrote the tag “Dungeon Synth.” There was no Facebook group and Andrew’s Dungeon Synth blog was almost the only source of info. I have no problem if the scene is big or small as long as there are people making cool music. Concerning the community, I’m not really a “community” or a “social network” guy. I’m on them because you can’t avoid it if you want to share your music. That’s why I put it online, because I want people to listen it: that doesn’t mean I would do anything for that and I wouldn’t put my face on a cereal box to do so (if some people from the Dungeon Synth board are reading, this is an inside joke for you). I don’t adhere to the culture of Facebook discussions on Facebook groups. I’m not against it and I find it cool when it leads to interesting discussion, but I didn’t grew up with it so it is not in my nature. However, I like to go in the FB group or in the forum board and read posts, I do it almost everyday. I would like to participate more sometimes because I don’t want to be the guy who posts only when he releases an album, but most of the time I post about new releases. Max: Do you have any future plans for Erang that you would like to share? Erang: Yes… This is important. I’m currently working on the last album from the “LAST AGE” era and that might be the last Erang for a while (except if something really inspiring comes across my way I will reconsider it). 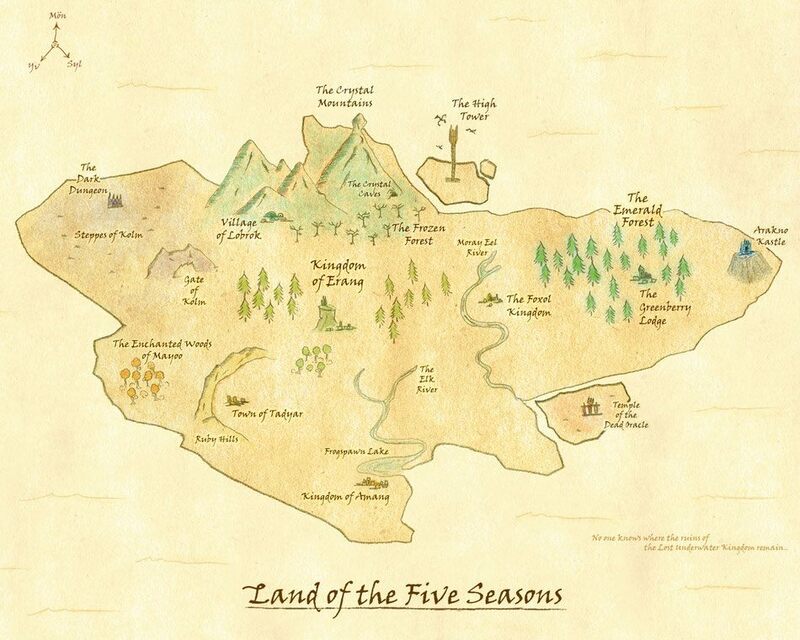 This album will explain many things concerning the Land of the Five Seasons and I’m sure the fans will appreciate it. It will be Dungeon Synth/Fantasy Music but with many surprises. 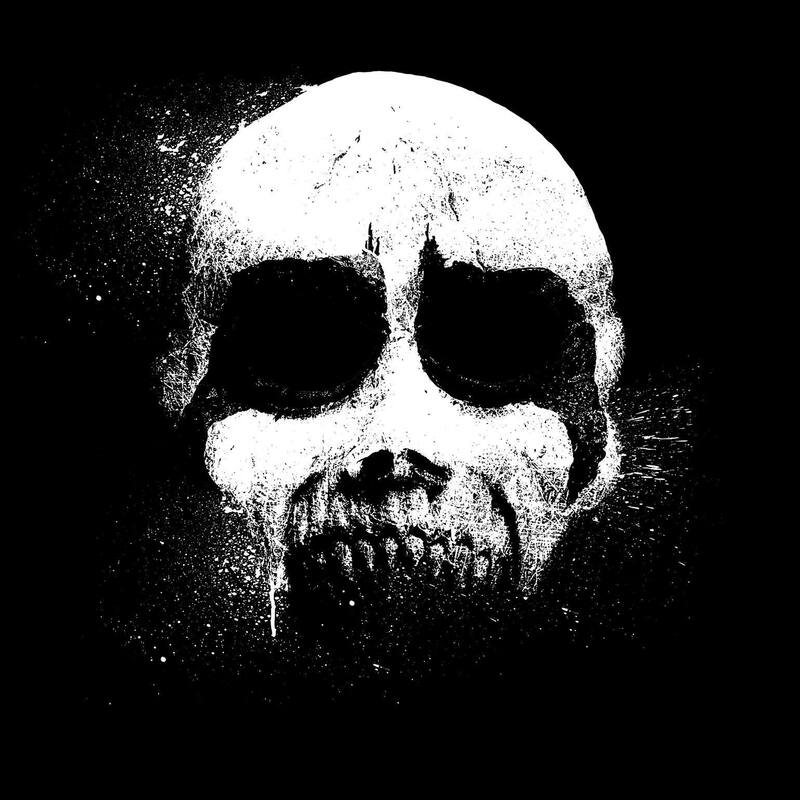 I’m very proud of the music I have so far, and it will probably be my “darkest” album. In addition, 2 of my albums will be available soon physically, in CD : Kingdom of Erang and Within the Land of My Imagination I am the only God. Max: Anything you’d like to say to wrap things up? Erang: Every time I receive a message from people telling me what my music means to them, it’s the best feeling on Earth. I’m not selling thousands of albums, but it’s still unbelievable that people from all around the world can project themselves into the world I’ve created. They are definitely a part of this world. That’s why I truly thank all of them for their warm support! … Imagination Never Fails… the Kingdom is ours!